While Facebook’s News Feed algorithm has been in place since 2013, many users are still unaware of how it works – or even that it exists at all – which can sometimes lead to confusion as to why some things are showing up in their feed, and why others are not. To help with this, Facebook is now rolling out a new ‘Why am I seeing this?’ option for all posts within your News Feed, which will provide specific insight as to why things appear. As you can see here, the new listing will outline the key factors which determine what you see, like whether it was posted by a connection whose posts you regularly like. It also provides broader context on related interests (‘You’re a member of Woofers and Puppers’) and the popularity of this particular post, another key factor. This could be a massively helpful tool to help users better understand their Facebook feed. 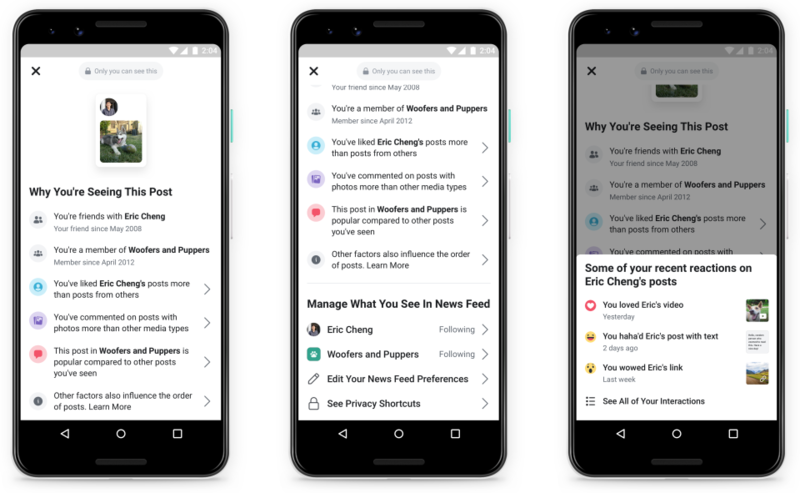 Facebook already provides similar for ads, but this initiative is specifically designed to provide more technical insight into the workings of its infamous News Feed algorithm, and why you’re seeing specific content. Of course, in order for it to be effective, it will require users to take that extra step of tapping on the top right dropdown and selecting the option – which, history shows, hasn’t happened at a significant rate with other features. But still, if you want to know why you’re seeing something, or if you have a friend or relative who’s always asking why they’re seeing certain posts, now you have an easy way to find a relevant explanation. As noted, Facebook’s News Feed has long been a mystery to many. Facebook has provided in-depth explanations on how its process works, but you have to go looking for them to find that info – and even then, it’s not overly clear. This new option provides information to your specific experience, which makes it more contextually relevant, and will make it a more valuable and insightful option. 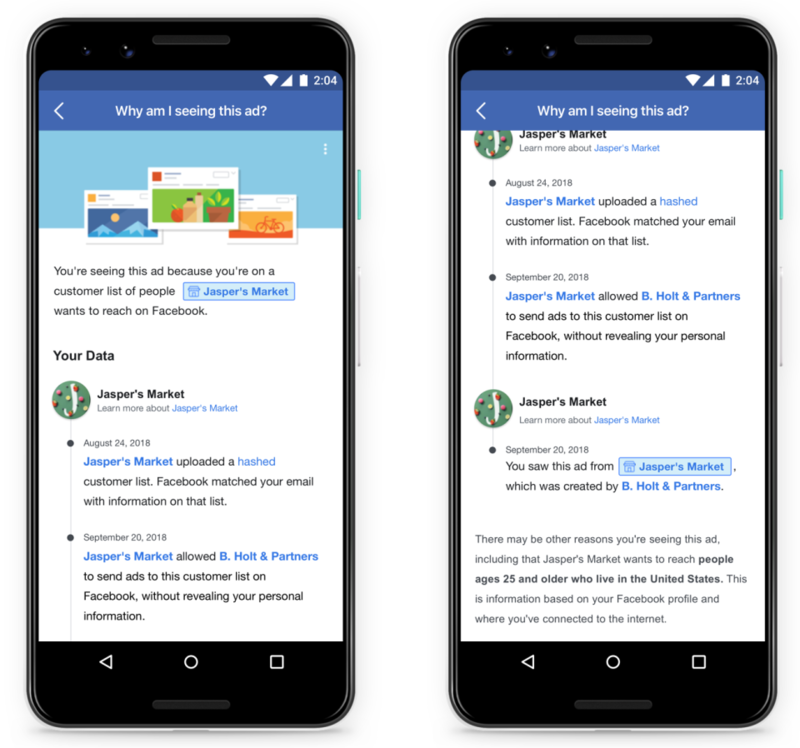 In addition to this, Facebook is also updating it’s ‘Why am I seeing this?’ listings for ads too, which will now include specific information on ads being shown to users due to data collection processes off Facebook. Based on this, users can take action to either block those ads, or report data misuse – i.e. their information being added to a list without their permission. The object of this addition is to avoid data misuse – Facebook has put in more checks which require advertisers to confirm that they’ve obtained their targeting data legally, but in most cases, Facebook can only ask them to tick a box saying they have, given there’s no way to track such usage. This new option will expand Facebook’s eyes and ears on such violations, opening up advertisers to more scrutiny over how they obtain audience information for their ads. This comes right on the back of Facebook CEO Mark Zuckerberg’s latest op-ed in The Washington Post in which he’s called for governments and regulators to play a more active role in setting the parameters for online platforms, in order to counter threats to society, and balance freedom of expression. In the piece, Zuckerberg essentially says that the platforms alone can’t be left to decide what’s right and wrong, that such boundaries should be established by an overarching body, and applied to all universally, rather than each network laying out its own rules. Also in among Zuckerberg’s policy framework is ‘improved data portability’, and in some ways, these new transparency tools can be linked to that broader push, to provide more insight, oversight and control for users. Facebook’s had a horror run in recent years, being blamed for all of society’s ills – and while the world’s largest social media platform definitely now plays a significant part in our interactive process, Zuckerberg’s right in saying it shouldn’t solely be left to them, that being the case. 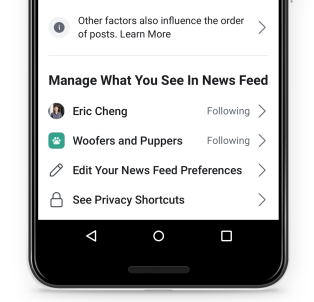 These new tools point towards a greater transparency shift for Facebook, providing even more ways for users to understand the platform and why they’re seeing what they’re seeing. There’s still an argument to be made that the News Feed is not necessary, that it contributes significantly to filter bubbles and reinforces societal division. But until Facebook agrees on that front, this is likely the next best thing.